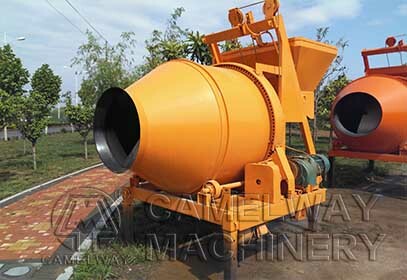 According to the different mixing forms, concrete mixer can be divided into friction type concrete mixer, drum concrete mixer, single horizontal-axis forced concrete mixer, dual-axial concrete mixer and so on. Among different forms of concrete mixers, there are some differences among them, so what are the differences between JZM concrete mixer and JZC concrete mixer? 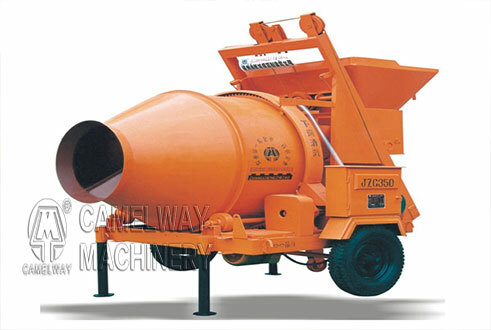 JZM friction concrete mixer and JZC cylinder concrete mixer all belong to self-falling concrete mixing machine discharging with the double wimble rotating reversely. The different is: JZM friction drum concrete mixer’s drum is driven by rubber tug friction transmission, because of the special form of hoisting drum mixing form, JZM friction concrete mixer hopper has a special motor ascension; while JZC cylinder concrete mixer is also the falling type whose drum is by the gear rotation, and JZC concrete mixer’s drum and hopper share a motor. How to locate concrete mixing plant and building price?